August was a lovely month for us, it is always one of my favorite months as I get the whole month with my children at home. It is always a really laid-back, lazy month a bit like July but with no school runs and routine and it is also my little boys birthday month. We had a quite August so let's have a look at what we got up to. This month my little boy Jacob turned three years old! It is crazy to think that he is now three and is off to actual nursery school. 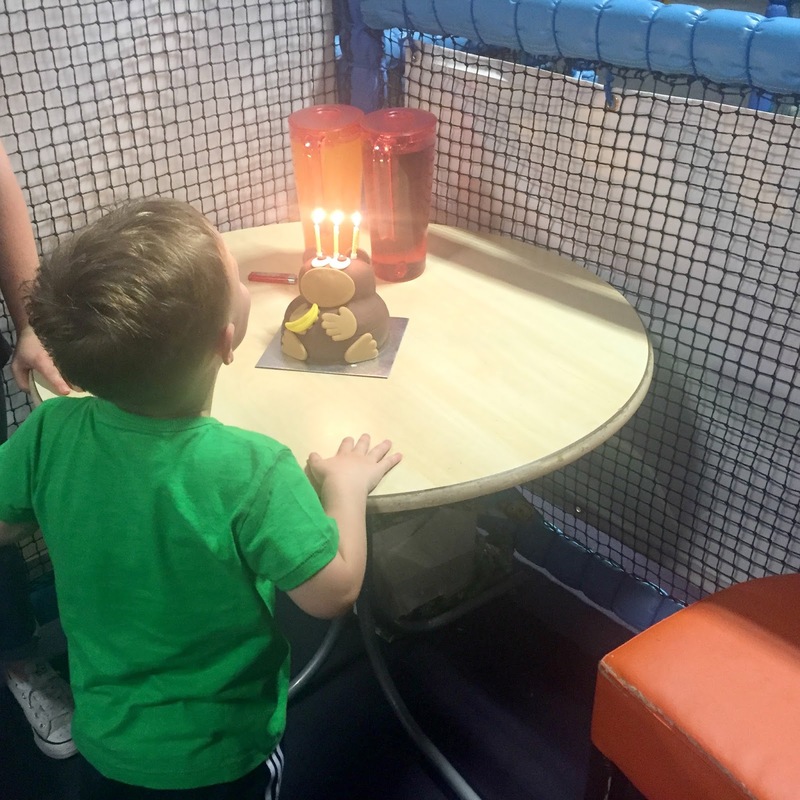 He celebrated his birthday with a soft-play party with all of his little friends and he has the best day, he loved being the center of attention for the day. He woke up early singing "it's my birthday" and he was so excited and happy from the moment he woke until he went to bed, it was wonderful to watch. We got him a bike and some Paw Patrol toys for his birthday and he started the day eating a caterpillar cake - cake for breakfast on your birthday is a must in our house. He then had his soft-play party and spent time playing with his new toys before having a Chinese takeaway for tea, at his request. He said it was the best day ever and he loves being three like a big boy. Family wise we had a few days out to the beach but the other half was working most of the month so we spent a lot of time at home or at soft plays. The weather was awful for August, I have never knowing it to rain so much in the summer. My teen now has a boyfriend so she spent most of the summer out with him and her friends, it felt like I hardly seen her all summer. Sophia is still doing her speech therapy during the summer, she is getting better and is such a little chatterbox these days however they think she may have problems with her hearing and need grommets, fingers tightly crossed she doesn't. Wedding planning has come to a bit of a standstill this month as I don't really want to book anything else until we have the register all booked in, we can't book one yet where we live as you can only book a year in advance. I just hope that I manage to book the suppliers I want as I know that they get booked up way in advance. Blog wise I had a bit of a break during August, finding time to write when I have all three children home all day was just impossible. I loved having a break although I now have some serious catching up to do and emails to reply to. I have decided that now all three children are in school and nursery school I will actually have some proper childfree time to concentrate on this blog, so I am going to take the time to try and make a success of it. I have a year before I need to return to work, as we agreed that I would stay home with the children until my youngest turns four and starts school. I really don't want to return to work though, I hated being a full-time working mum in the past and missed so much of my eldest's childhood. Hopefully, I can use this year to make something of this blog so I don't need to return to work. Fingers crossed I managed to pull it off, wish me luck.